The phrase trace elements is mentioned repeatedly in articles and conversations about activated carbon, reef additives, fish feed, and other subjects. But if you ask many fish hobbyists, ranging from beginner to advanced, I doubt more than a few percent of those quizzed could name the actual elements which fall into the “trace element” category. Think you’re in the 5 percent that might know the trace elements? Pause now and on a piece of paper list eight essential trace elements. The answer is given below, so no peeking! The term trace elements originated as a classification for those elements which were in such low concentration, generally in the parts per billion or lower range, that they could not be accurately measured. Nowadays, analytical equipment has advanced such that these elements can be measured quite accurately but the classification still is maintained. So how do organisms get the trace elements they need? incidental or nonessential trace elements. These are mostly based on human and farm animal needs, so there is a slight difference between which category a certain element falls into when considering fresh and seawater systems. Essential trace elements can also be important in biochemical processes as they are part of important enzymes. In any case, the essential trace elements are the ones that are needed for proper nutrition and development of an organism (including humans). In fact, most of studies on essential trace elements have come from dietary/medical studies on ailments which were eventually shown to be caused by the lack of a certain trace element. To review, there are eight essential trace elements: cobalt, copper, iodine, iron, manganese, molybdenum, selenium, and zinc. Iodine is an essential element. Studies have shown lack of iodine in the diet of humans and some animals can cause goiter which is the enlargement of the thyroid gland. Obviously, corals are not going to get goiter, but that does not mean they don’t need some iodine. Iron is another essential trace element. It is part of the hemoglobin in the blood and the lack of it is an ailment called anemia. Copper is also an essential trace element as hemoglobin will not form in the absence of copper. Vitamin B12 contains cobalt and the lack of cobalt will prevent the formation of vitamin B12 and consequently the formation of blood. Thus cobalt is considered to be an essential trace element. Zinc is part of an enzyme called carbonic anhydrase which is used by phytoplankton to change the bicarbonate in seawater to carbon dioxide for use in photosynthesis. Molybdenum is in the enzyme xanthine oxidase. Manganese is another trace element that is critical for photosynthesis. It is vital for keeping zooanxthellae healthy and thriving. The 8th element is Selenium that has a role in keeping corals safe from the oxygen damage. How many were you able to name? The metabolic trace elements include fluorine, bromine, barium and strontium. In seawater, however, bromine and strontium are not considered trace elements rather they are minor elements as their concentration is in the parts per million range. Except for strontium, there is little evidence that the others on this list need to be added. The nonessential trace elements are aluminum, titanium, barium, mercury and cadmium. There is no proven need to add these to your aquarium. In fact, mercury and cadmium are extremely poisonous and can cause problems in your aquaria. 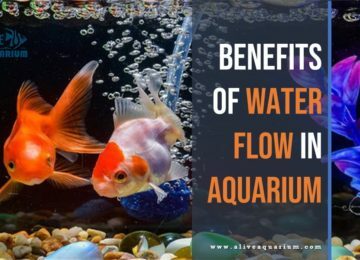 Others, like aluminum are only soluble at certain pH values that will never occur in an aquaria (at least one with live fish and invertebrates). Don’t waste your time and money adding the nonessential trace elements. So it would seem that it would be a good maintenance practice to add these trace elements to your aquarium on a regular basis? Unfortunately, that is not the case. There are several reasons why adding trace elements can be dangerous or just a waste of time and money, or both. Therefore, adding them in a liquid form to the tank water does not mean they are available for use by the organisms in your tank. In fact, in many cases they will precipitate out of the water and settle to the bottom of your tank–that’s the white cloud you see in the water after squirting the mixture in the tank. You can think of them as dollar bills laying on the bottom of your aquarium doing nothing! 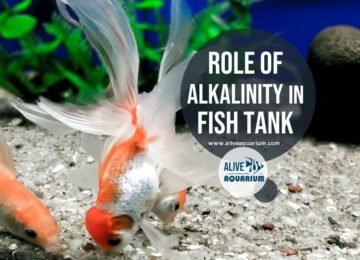 They can only be re-solubilized if the redox potential drops which can only happen if the oxygen concentration drops to such a low level that everything in your tank dies–not the situation you want to happen in your tank. For fish and many invertebrates the answer is generally in the food they eat. So if you are primarily concerned with how to keep fish healthy, then feed a varied diet. Most dietary problems with tropical fish seem to be a lack of “greens,” i.e., algae. So mix in some Spirulina once in while. A prime example of this is the Lake Malawi Mbuna. They naturally graze on rocks which are covered with algae and small animals, but in many aquaria they are fed a diet consisting of meat protein without the vegetables. This causes dietary problems which leads to poor color and health. Coral on the other hand get their trace elements from the water and the action of the symbiotic algae, so it should be good to add trace elements for reef trace, yes? Again, the problem with this is the insolubility of some of the trace elements and a second problem of how much to add. Most trace elements can be deadly if they are present in too high a concentration. Zinc, copper, selenium, and cobalt are in this group. High levels of selenium in wetlands located in Central California has caused large scale environment problems with the birds which use these wetlands as a feeding and nursery area. Copper is a common medication in saltwater fish tanks, however adding it to a reef tank can kill all the invertebrates present. So dosage becomes a problem, further complicated by the fact that there aren’t test kits available to measure many of the trace elements. For the reef hobbyist, adding trace elements presents a quandary. Most authorities say to add them, but give few guidelines. No one gives any real scientific data, except to say that one needs to be careful, that some are worthless, that some are toxic to the hobbyist, and that few can be measured. So what should you do? The best advice is to use a quality salt and change your water often. Pay close attention to your specimens. If you choose to add trace elements, add them singly and slowly over time so they don’t reach toxic levels. There is much written about activated carbon and protein skimming removing trace elements. Usually a declarative statement is made such as activated carbon removes trace elements. This is both true and false. Activated carbon can remove some trace elements but they have to be in the soluble form to be removed. As mentioned above many are not so they will not be removed by activated carbon. Another potential problem is that by adding certain trace elements, you may unwitting cause a bloom of nuisance algae and diatoms. Iron is an example of this. Studies have shown that adding iron to the ocean causes a bloom in phytoplankton. This can happen in your aquarium also if you add too much iron or other trace elements. In the more common usage, the phrase trace elements seems to be a catch phrase for anything the writer wishes. I have read articles and bottle labels defining trace elements as including calcium, sodium, magnesium and other things which were not even trace elements but compounds. This is unfortunate as it only serves to confuse the real importance of trace elements. As briefly outlined here, organisms do need certain elements which occur naturally at very low concentrations in many parts of the oceans and lakes of the World. 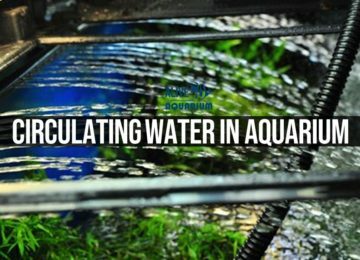 However, to efficiently provide these elements to the organisms in your aquarium takes more thought than just squirting some drops in the water. Further, fish, corals, and plankton are not the same; so don’t treat them the same. Finally, think critically before adding trace elements to your system. What are you trying to accomplish? If it is to improve fish health then soak the feed in a weak solution of the trace elements so they are ingested immediately. If it is for your corals, realize that soft corals are not the same as hard corals and that you need to go slower rather than faster. Don’t overdose; this will cause many problems.